If you can’t remember the last time you used a skin-care product to the last drop, we don’t blame you. For many of us, skin-care fatigue is real with the sheer number of cleansers and serums crowding our cabinets. The good news? 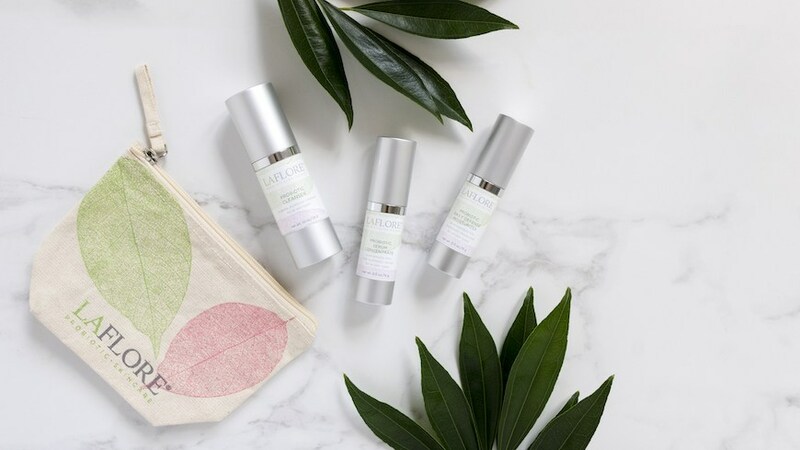 You don’t need an overly complicated multi-step regimen to address all your skin concerns at once—and when streamlining, supporting the healthy flora living on your dermis should be goal number one, no matter your age. 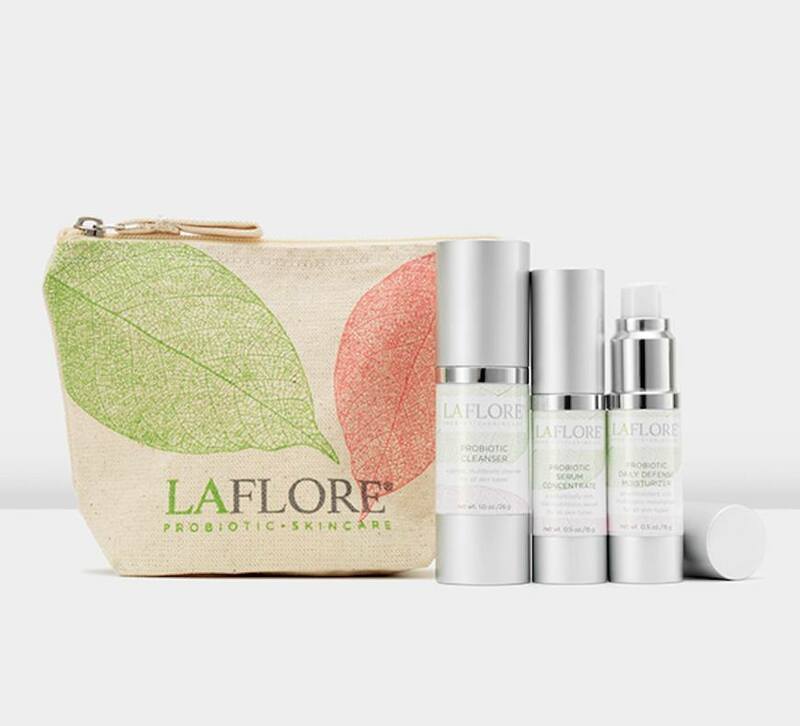 “When your skin’s microbiome is healthy, you don’t need a complicated skin-care routine nor do you need to keep changing products as you age,” says Maya Ivanjesku, chief scientific officer of LaFlore® Probiotic Skincare, a microbiome-focused line of natural, clinical-strength topicals. So instead of your dozens of products targeting each issue (dryness, breakouts, fine lines, oh my), you could actually improve your complexion’s health across the board by focusing on preserving your skin barrier. To make the shift, we enlisted the formulation scientist to give you the details on how a pared-down, probiotics-enriched regimen can help you get that glow at every age. Keep reading to discover why probiotic-enriched skin care is right for your skin type—at any age. There are two common modes of choosing skin care: Beelining for brands you know, and shopping for products that target specific issues. “Much of what we have been taught about skin care over the years, especially in terms of what our skin needs to be healthy at every age, is focused on treating skin concerns rather than skin imbalances,” Ivanjesku explains. Applying probiotic-rich products on your face can help your skin regain its natural balance of microflora (AKA good bacteria), which could have positive ripple effects. “Providing your skin with topical nutrition in the form of plant-based actives and live probiotics gives it everything it needs to thrive,” Ivanjesku says. As far as minimalist skin-care sets go, they’re like the confidence-boosting work uniforms you reach for when you want to look and feel good without thinking about it. 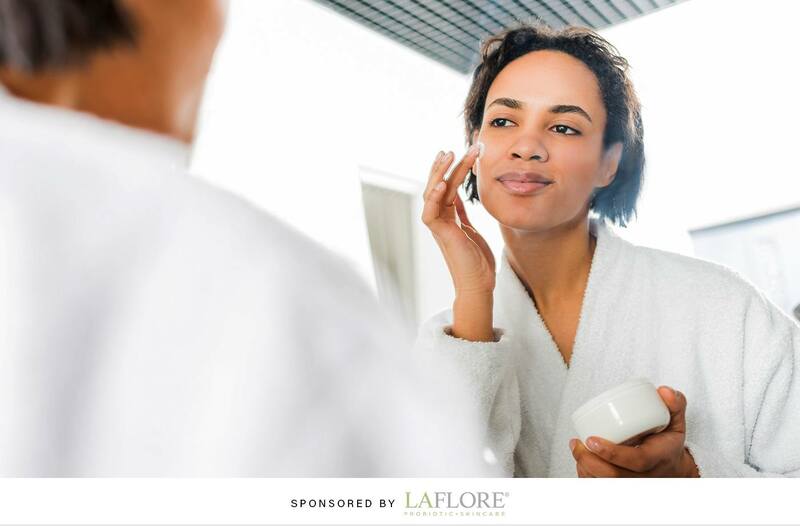 Case in point: LaFlore® Probiotic Skincare harnesses the microbiome-enhancing power of probiotics into your a.m. and p.m. cleansing routine. At each step, you’re introducing everything you need to replenish your skin barrier including prebiotics (fertilizer for probiotics), live probiotic strains, and inflammation-fighting postbiotics. The first step is the LaFlore® Probiotic Cleanser, formulated with perilla seed oil, which helps stimulate skin circulation. Follow up with the Probiotic Serum Concentrate, which features inflammation-fighting St. John’s Wort and sea buckthorn oils plus a live probiotic blend. Then seal in moisture with UV-damage-protecting Probiotic Daily Defense Moisturizer, which packs hyaluronic acid and probiotic strains to help brighten skin. This perfect storm of live probiotics and microflora-supporting goodness is designed to enhance your skin from the inside out. The goal is to create an environment for your personal troupe of good bacteria to thrive—and alleviate your skin’s particular issues as a bonus. While your skin is bound to change drastically over time, your baseline routine can stay pretty much the same, says Ivanjesku, because your baseline comes down to preserving your skin microbiome. 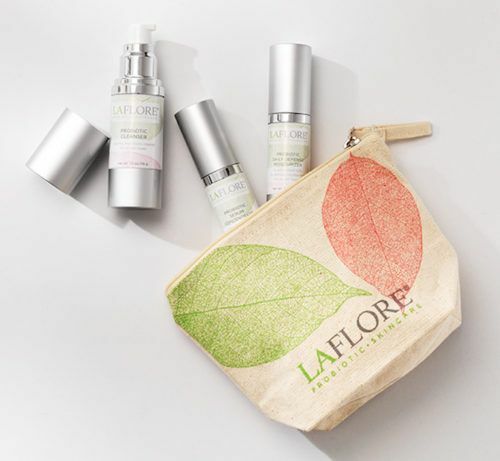 In your 20s, for example, the LaFlore® Probiotic Skincare collection can help reduce breakouts and common skin discoloration. Then in your 50s, when you’re battling loss of elasticity, the probiotics formula can help stimulate cell renewal. 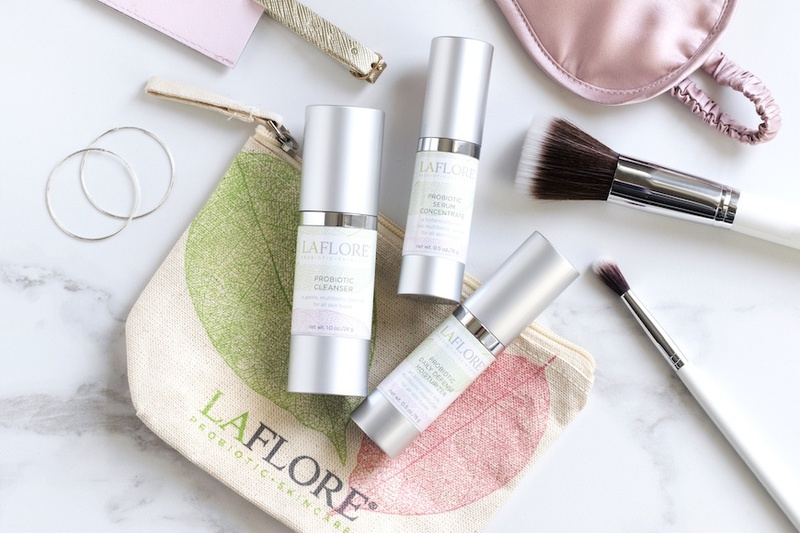 “Lactococcus, one of the probiotic strains used in the LaFlore® Serum Concentrate, positively influences the speed and quality of epidermal growth—but in gentle ways,” says Ivanjesku. So clear out your medicine cabinet and get to know your new go-to’s (it will be the start of a beautiful, glow-boosting relationship).